Comment: I would like to get an estimate for Sidewalk around back of home is need of repair -- high spots / a step that leads to the backdoor needs to be leveled / bulk head steps frame need to be redone, etc. Comment: Our patio has a few places that are sinking. We want to level it, put concrete slab as foundation. Monroe Township Concrete Contractors are rated 4.75 out of 5 based on 1,565 reviews of 57 pros. 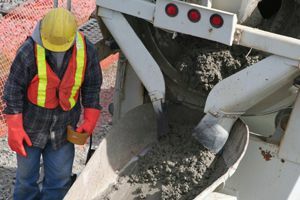 Not Looking for Concrete Contractors in Monroe Township, NJ?